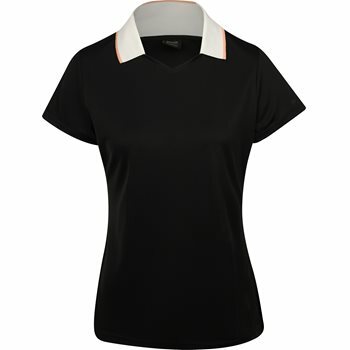 Get ready for your golf game in the Oakley Enjoy Basic Golf polo. The highly breathable fabric will keep your skin ventilated while moisture wicking technology works to keep it dry when sweating occurs. You can enjoy comfort on the golf course with stretch fabric that allows you to move with ease. The polo is designed with a slightly slim fit, a V-neck with collar, and logo branding at the left sleeve.